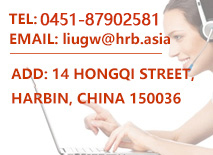 Harbin Bearing Manufacturing Co., Ltd. (hereinafter referred to as HRB) is wholly-owned by Harbin Bearing Group Corporation(hereinafter referred to as HRB Group). 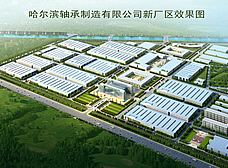 HRB is among the top 3 largest bearing production bases in China bearing industry. HRB has over 3 thousand employees, and covers an area of about 960 thousand square meters. 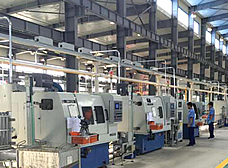 HRB possesses 46 hundred sets of major production equipment, and manufactures more than 7 thousand specifications of quality bearings, from inner diameter of 1 millimeter to outer diameter of 2000 millimeters, with various precision degrees, different special performance, and for diverse purposes. Moreover, HRB boasts the annual production capability of 80 million pieces of bearings, and the sales revenue of above1 billion yuan. 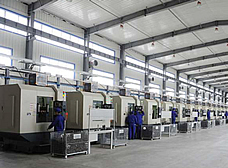 HRB supplies its products mainly for the businesses relating to precision machine tool, automobile, agricultural machinery, locomotive and rolling stock, motor and electric appliance, engineering machinery, mining machinery, petroleum and chemical engineering, aviation and spaceflight, national defense, and the like. HRB has established a sound, scientific, and normative quality control system with the certificates of ISO9001-2008, TS16949-2009, AS9100, and ISO14001-2004. HRB has in a row obtained the honors, for example, of "Brand China", “Most Competitive Brand", and “Enterprise for Exemption from Export Inspection”. HRB possesses a nation-level R&D center, and has completed many major scientific research projects at national level. More importantly, HRB has provided the bearings for the national projects, including the ShenzhouⅤ,Ⅵ,and Ⅶ manned spacecrafts, ChangzhengⅡ F carrier rocket, and Chang'e I and Chang'e Ⅱ satellites. With the authorization from the Ministry of Railways, HRB has developed and manufactured speed-up railway passenger car bearing. HRB has researched and put into production the YRT series of precision CNC machine tool spindle bearing, thus having filled up the gap in the production in China of this kind of bearing. HRB has made breakthroughs in many bearing technologies such as corrosion-resistance and rust-proof, high-speed and anti-attrition, and ultra-high and ultra-low temperature. HRB has gained Scientific Progress and Excellent Product Awards at the national, provincial and municipal levels respectively, for 5 types of bearings of over 600 specifications. Consequently, HRB has made significant contributions to both the equipment manufacturing sector and the national defense industry in China. 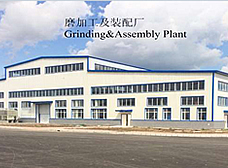 HRB Group Songbei Precision Bearing Co., Ltd., and HRB Group Hebei Bearing Forging Co., Ltd..
-----In April,2010, HRB and Aviation Industry Corporation of China (AVIC) founded AVIC Harbin Bearing Co., Ltd., which in China is the largest manufacturer of aeroengine main shaft bearing. -----In October, 2012, HRB and Garnet Industries LLC. 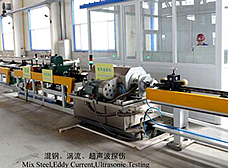 (USA) established Harbin Automotive?Bearing Co., Ltd., which has since July 9, 2014 gone into production, and which manufacturers automotive bearings such as steering gear bearing, differential mechanism bearing, generator bearing, air conditioner bearing, and automotive wheel bearing of GEN 1,2, and 3 for saloon car. HRB carries forward its Corporate Spirit, that is, Be Innovative, Pragmatic, and the First. Moreover, HRB performs its Mission to Apply Innovations, and Science and Technology in Making our Planet Run More Comfort and Efficient. Meanwhile, HRB endeavors to be a World-Class Supplier of High-End Bearing, and to build for itself a better future.